There are currently 2 users and 246 guests online. 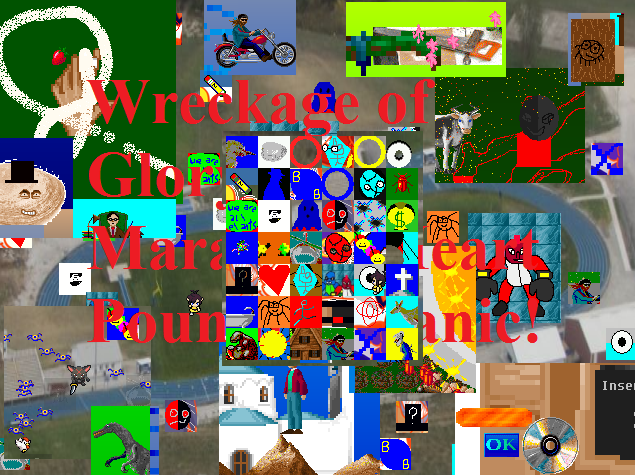 A platformer game I made in Klik N' Play from around 2008-2009. Has around 10 levels, which include a terribly made boss. All graphics, music, and sfx made by me, with the exception of the water drop sfx in that one level. Music was made in Korg DS-10. Note: Since Klik N' Play is so old, I had a friend convert it to a 32 bit file with what I believe was Clickteam Fusion or something. 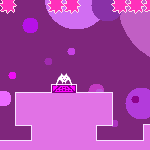 Some of the platforming mechanics don't work as originally intended as a result. Made in Klik&Play in under 5 minutes. 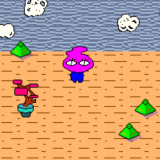 This will be my last game I'll post in a while, because of personal things and also because I need to make more games!! I've posted them all. So far I've made 9 games and posted them all. I have many prototypes also but they're so bad they're not even a trainwreck. I won't post them. Use your mouse. Kill the zombies in the first two rounds, avoid them in the next two. Avoid the zombies in the boss round and kill Dracula by touching him. Made by me and my friend SPR9Monkey Games who doesn't have a GT account, I'll post his games if he makes any. Use the mouse to control the bat and play the game. Dang, I just realized i have a lot of Breakout clones.